Not so long ago, we would never have dared compare a Superyacht with a cruise ship. Traditionally, they evoke very different feelings of style, purpose, lifestyle, itinerary and facilities. Yet now with the size of Superyachts increasing and designs becoming ever more ambitious, and with cruise ships investing more in the quality of the onboard passenger experience – these two types of vessel are converging in a way that would not have been previously imagined. Obstacles arising in both Superyacht design and operation can be overcome by using the software and systems developed for cruise ships to increase safety onboard, mitigate risks and enhance the overall enjoyment for those afloat. The increase in size of Superyachts presents issues that cruise ships have faced over the years – from safety measures to resolving issues such as onboard breeze comfort for passengers. Superyacht designers have used software packages for Computational Fluid Dynamics (CFD) to improve hull designs for a while, but it is also an equally effective tool for assessing and minimising breeze discomfort caused by excessive breeze onboard large vessels. Brookes Bell have been making use of CFD for many years in designs for cruise ships that minimise breeze and funnel emissions onboard, thus enhancing the customer experience. Serious Superyacht fires in recent years have highlighted the increasing need for a change within the Superyacht Industry. It is surprising and alarming to see how few risk assessments are undertaken for Superyachts. Simple assessments can mitigate the risk of a fire breaking out by highlighting high-risk areas (galleys, switchboards etc) and implementing procedures. cruise ships undertake mandatory risk assessments and implement strict procedures due to the high number of passengers onboard. Having the capability for a vessel to return to port safely in the event of an incident can save huge amounts of money and decreases the risk of casualties. 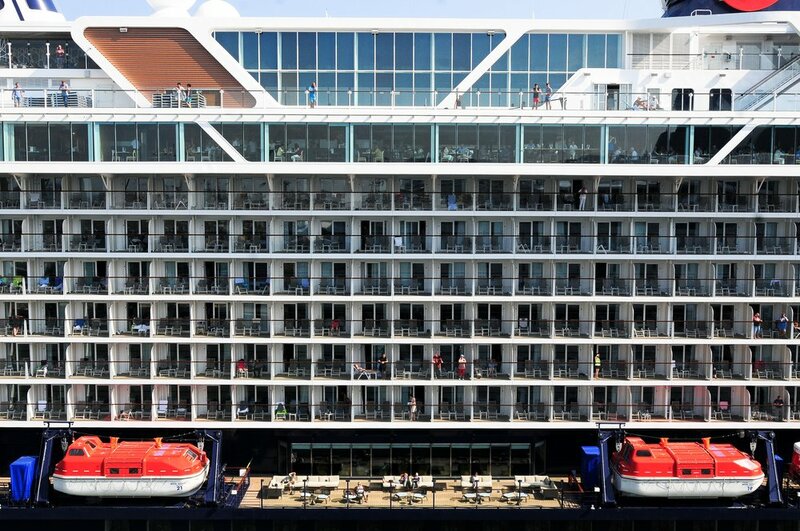 The installed systems, procedures and training for ‘Safe Return to Port’ that are now implemented onboard many cruise ships are equally applicable to Superyachts at the larger end of the scale. A ‘high redundancy’ Superyacht means if one area has a problem and systems fail, other areas take over allowing the vessel to return to port safely. Optimum hull performance is essential for Superyachts. Often owners of Superyachts are time poor and need their Superyacht to travel quickly and have fuel and environmental efficiency. Hull performance depends upon many factors from hull form, weight, superstructures etc. CFD and modelling have been used extensively by Brookes Bell on both Superyachts and cruise ships. In the last decade or so, the concept of a cruise ship has gone from being a means of transport to becoming a vast floating luxury city with an extensive number of entertainment options. Superyacht owners want more and more from their superyacht. They want more available on board so they can offer guests and charter customers a greater range of different facilities and activities whilst afloat. They also want a more robust and flexible design so they can explore more adventurous destinations further afield in a range of different challenging environments. Well-known as the expert professionals who help when things go wrong, Brookes Bell can advise on every aspect of a Superyacht new build, refit, rebuild and crisis management if an incident occurs. Brookes Bell’s expertise is being called upon more often to advise at the start of a build or project to mitigate risks, deploy in-house software and processes, design procedures and help navigate the complexities of regulations. Brookes Bell can also provide third party oversight of a project, making sure everything is considered and nothing gets missed from specification review to material sciences and machinery installations. When an owner, yard, designer or captain involves Brookes Bell in the initial stages of design and safety it ultimately saves money and more importantly – lives. Check out our case studies and previous experience to find out more. "If you think safety is expensive, try having an accident"
So you want to build a better Superyacht?